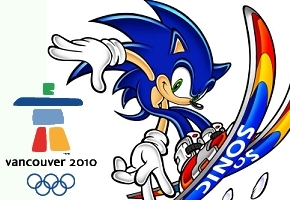 The official website for Mario and Sonic at the Olympic Winter Games has unveiled a new Rewards section–but you’ll need to go on a scavenger hunt to get access to it. On first glance the area appears as locked. To unlock it, you’ll have to find and collect various Snow Spirits–those characters we’ve seen pop up most in the DS story mode. There are several scattered throughout the website. The hunt brings a certain level of user interactivity to the game’s website, and fans hope that it’ll be more than just wallpapers available in the Rewards section as it evolves. What would you want to see as a reward? Tell us in the comments section. Thanks to Dabbido and Edwin Shy for letting us know of this tidbit via our News Tips system. If you have news we don’t have, tell us by clicking “News Tips” at the top of every page.